I am one of those traders who have not lost money in Forex for many years already. I do not give preference to a single strategy. Here, I intend to dispel the myth that the Martingale is always detrimental for your account on the long run. If you really want to make a stable profit in Forex, you should master this scary beast called Martingale. Testing and optimization should be performed by Open prices, while obtained data is to be checked on all ticks. Do not optimize the robot on a large time interval. Otherwise, the robot is optimized for the most unfavorable conditions of the past years and does not yield enough profit at the current time. 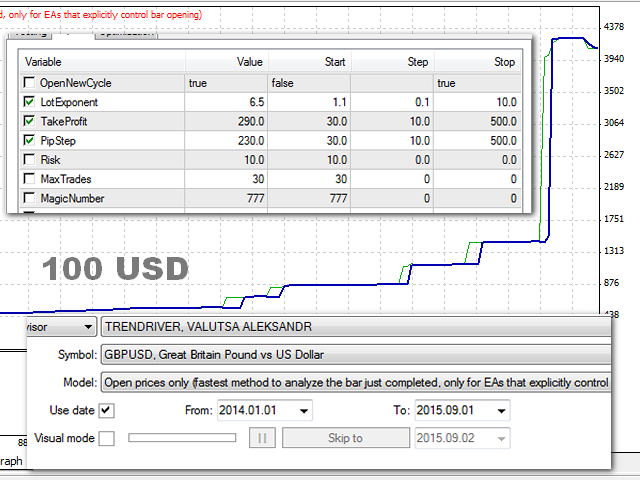 For example, if your deposit is 1 000 USD, optimize the robot on 100 USD as described above. According to optimization results, the profit may reach several thousand per cent. But we cannot be sure that we will not face any unfavorable circumstances preventing us from making profit. Therefore, the deposit should be divided into 10 parts and optimize the EA on the 10 most liquid currency pairs (or single GBPUSD pair since it is the most optimal but with different settings, MagicNumber should be different). Even if only one pair out of the 10 ones succeeds, you will obtain a profit according to the calculations. TotalEquityRisk = percentage of the deposit the EA is allowed to trade. If it is exceeded, all trades are closed, while new ones are not opened till you restart the EA. This parameter is required if the terminal has several EA copies. The_number_of_passes - the number of optimization passes; once this value is reached, the EA automatically exits the optimization mode. 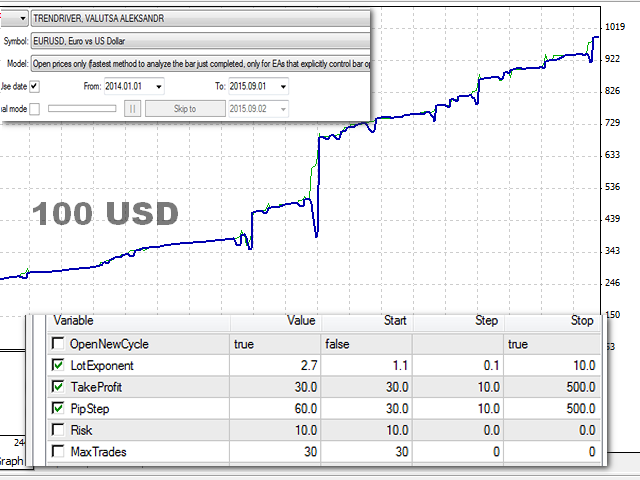 Relative_drawdown - the maximum allowed drawdown, above which parameters are not accepted. 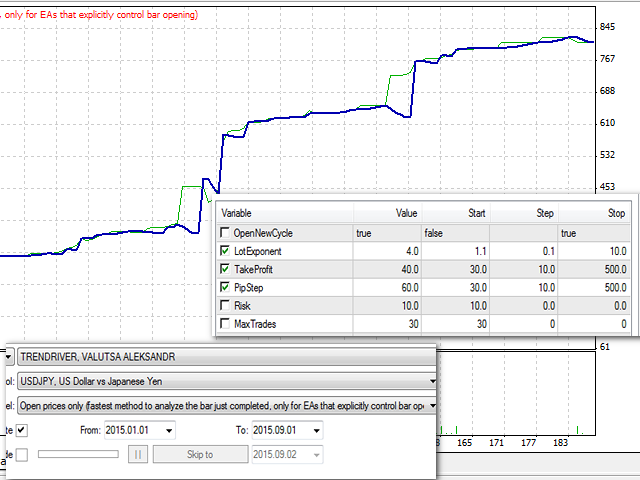 Profit_factor - the EA's profit factor, below which parameters are not accepted. Expected_Payoff - Expected Payoff, below which parameters are not accepted.